The Government of Honduras is intent on framing the only witness to the murder of Berta Cáceres as the one guilty of the crime, writes Beverly Bell. Gustavo Castro Soto, an eco-defender from Mexico, is now in effective detention in his country’s embassy in Tegucigalpa in fear of his life, having himself been injured in the attack and seen the real assassin. The US Government must break its resounding silence. The ones responsible for her assassination are the business groups in collaboration with the national government, the municipal government and the repressive institutions of the State, who are behind the extractive projects developing in the region. A writer and organizer for environmental and economic justice, Castro has been forbidden by local authorities from leaving the country to return to his native Mexico until April 6, at least. Since being released from several days in Honduran government custody, he has been forced to take refuge in the Mexican Embassy in Tegucigalpa. Prominent COPINH organizer Aureliano Molina was imprisoned for two days on suspicion of a ‘crime of passion’ though he was two hours away from La Esperanza on the night of March 3. Two other COPINH leaders, Tomas Gómez and Sotero Echeverria, were interrogated for days, during which time the government denied their request for accompaniment by their lawyers. On March 15, Echeverria was threatened with arrest. Cáceres was a tireless organizer for accountable government, participatory democracy, indigenous peoples and their territories, human rights, and women’s and LGBTQ rights. For many years, she was subject to threats, attempted violent attacks, legal prosecution for being a « continual danger to the nation », and other persecution. Just during the three-month period prior to Cáceres’ murder, human rights accompanierstracked eleven threats and attempted assaults by national and local government officials, police, soldiers, employees of the Agua Zarca dam project which Cáceres and others were fighting, and unidentified men. In addition to that litany within 10 days before Cáceres’ death, Agua Zarca released two incendiary public email announcements. Their message lines read « THE VIOLENT ACTS »and « FALSEHOODS OF BERTA CACERES – COPINH ». We hold the company DESA responsible for the persecution, the criminalization, the stigma, and the constant death threats made against her and our people of COPINH. We also hold the financial and international entities that support the project such as, the Dutch development bank FMO, Finn Fund, BCIE, Ficohsa, and the committed companies CASTOR, and business group ATALA, responsible for her death. The ones responsible for her assassination are the business groups in collaboration with the national government, the municipal government and the repressive institutions of the State, who are behind the extractive project that is developing in the region. The funders of these extractive death projects are also responsible for the death of our Bertha and of countless people who struggle against the exploitation of our territories. Beyond being inconvenient for knowing too much, the eyewitness falls into the repressive government’s category of public enemy. Like Cáceres, Castro has been a vocal opponent of dam construction on indigenous rivers, as well as of the broad powers given transnational corporations and the local elite to plunder democracy and the riches of nature. Castro is coordinator of the group Otros Mundos / Friends of the Earth Mexico. He has cofounded, and sits on the governing body of, many anti-mining and anti-damming networks, as well as the US-based organization Other Worlds. In his interrogation, the public prosecutor has asked Castro about his environmental organizing and history of activism. Following the killing in Cáceres’ home in the town of La Esperanza, Castro was detained for days in the local public prosecutor’s office for interrogation. On March 5, having been told the questioning was complete, he was transported by the Mexican ambassador and consul to the airport in Tegucigalpa so that he could return to his homeland. As he approached the migration checkpoint, Castro was set upon by multiple Honduran police, who attempted to grab him. The Mexican ambassador stopped them. It’s time for our government to leverage security assistance and multilateral loans so as to put real and lasting pressure on the Honduran government to protect its activists and pursue those responsible for these hideous crimes. That repression was aggressively launched on March 15. On that single day, Honduran soldiers and police coordinated assaults against ten activists from four geographic regions and three separate organizations. Nelson García, a COPINH leader, was assassinated during a violent government eviction of the community of Rio Chiquito. As stated above, police threatened Sotero Echeverria, member of the COPINH coordinating committee, with arrest. In the capitol, three hit men shot and wounded Christian Mauricio Alegría, who works with the global peasant movement La Via Campesina. His uncle, Rafael Alegría, is a deputy in the national parliament from the opposition Libre Party, and is former secretary general of La Via Campesina. 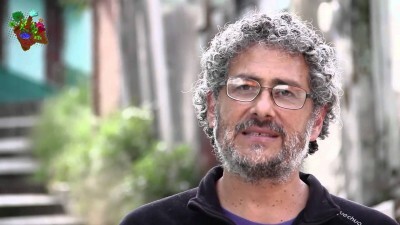 José Flores, head of the United Movement of the Peasants of the Aguan (MUCA), was temporarily arrested along with family members in the town of Tocoa. Take action here to call for safety for Gustavo Castro and members of COPINH, as well as for a fair, internationally led investigation into Berta Cáceres’ killing. Beverly Bell is founder of Other Worlds and more than a dozen international organizations and networks, Beverly is also an Associate Fellow at the Institute for Policy Studies. Beverly has worked for more than three decades as an organizer, advocate, and writer in collaboration with social movements in Latin America, the Caribbean, Africa, and the US. Her focus areas are just economies; democratic participation; and rights for women, indigenous peoples, and other excluded peoples.